How To Teletalk 4G Migrate! The country’s mobile operator Teletalk has launched 4G network service. 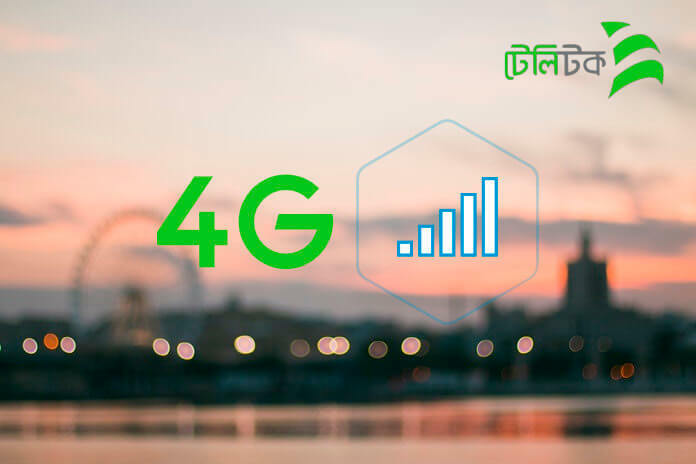 Teletalk’s 4G network was launched on the Victory Day of Bangladesh. All other mobile operators of Bangladesh started the 4G service a few months ago. 4G is the 4th generation broadband cellular network that offers the highest speed Internet browsing experience. Not required Sim replacement, If you have Teletalk 3G SIM, you will be able to upgrade to 4G effortlessly. How to migrate to Teletalk 4G? Teletalk 4G SIM upgrade process very easy. To migrate from 3G to 4G SIM, type “4G” and send it to 111. What is the speed of 4G? Speed depends on network capacities. Usually, the Upload Speed up to 15 Mbps and download speed can be available at 40 Mbps. Initially, the 4G service has been launched in some important areas but it is expected that soon we will soon reach almost all the regions. How To Check Teletalk 4G SIM? Use the Teletalk 4G Service Hope you enjoy it, stay with us for the next update.